Whether you are interested in one night, a few days or longer, staying with a Palestinian family is an enlightening experience. Selected English-speaking families from the community offer warm hospitality and an opportunity to learn about their daily lives. You'll have a comfortable room, modern bathroom facilities, and some excellent home cooking. Beit Sahour is a Christian village, now a suburb of Bethlehem and the location of Shepard's Field. You can easily walk into Bethlehem or take a short bus or taxi ride. If you are Christian and want to attend church services, there is a variety of denominations to choose from. Arrangements can be made for you to join some of the scheduled tours, or you can explore by yourself. Beit Sahour is a safe environment where everyone knows everyone else. There are some interesting shops and restaurants and the historic Old Town has interesting architecture dating back to the Ottoman era. There are also several local aid and peace organizations in Beit Sahour that you can visit. (Arabic: بيت ساحور‎ pronounced ArBeitSahur or Bayt Saahoor (help·info)) (lit. Place of the Night Watch) is a Palestinian town east of Bethlehem under the administration of the Palestinian National Authority. The population of 12,367, is 80% Christian and 20% Muslim. 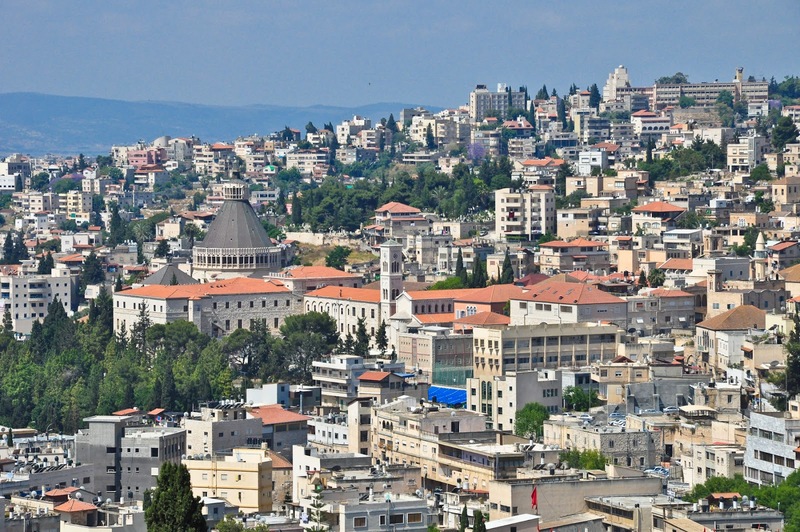 There are two enclosures in the eastern part of Beit Sahour which are claimed by different Christian denominations to be the actual 'Shepherds Field': one belonging to the Greek Orthodox Church and the other, the Catholic site, to the Franciscan Custody of the Holy Land. 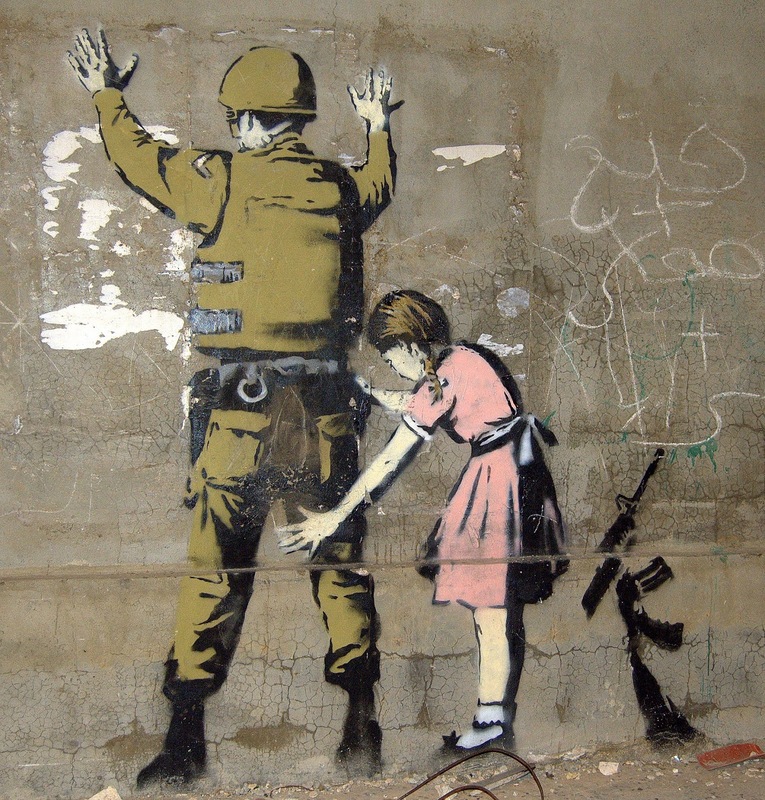 Beit Sahour is a center of Palestinian political activism. 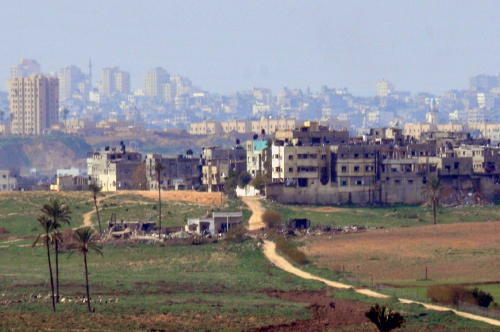 The town played a key role in the first and second Palestinian Intifadas, with local activists pioneering nonviolent resistance techniques. The area is a traditional community and modest dress should be worn at all times. Both men and women should be fully covered at all times. This includes a high neckline on a shirt and dress, shoulders and upper arms covered, and dresses or skirts below the knees. Trousers (pants) are common for both men and women. No shorts. Respecting the local mores will enable you to blend in and communicate comfortably with local people. Please contact us if you have any questions before making a reservation. Enjoy your stay. Beit Sahour, looking east over the Shepherds' Fields, near Bethlehem. Photo Creative Commons License Tamer Shabaneh.